If flexibility is the key requirement for your handling system then a robotic solution may be the answer. For certain applications robots can be quicker, more accurate and more productive than an operator and also have the flexibility to be able to handle different products. Where product lifetimes are short the robot can be re-used for a different application at the end of the production run. 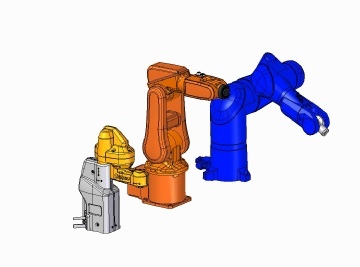 CS Automation can design a robotic handling solution from scratch whether it uses a 6-Axis, Scara or Parallel Arm system, or is a 1- or 2-axis pick-and-place. We will provide a completely integrated solution including programming, endefector tooling and guarding. Standard equipment - Low project planning risk. Can be used in a three-shift operation. Long service life - more than 10 years. CS Automation can integrate robots into your current or future manufacturing needs.